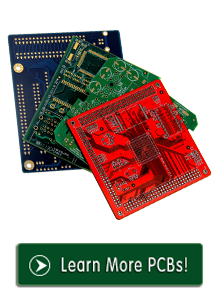 After an order is placed, your Gerber file will be given to one of our experienced PCB manufacture engineers who will review the file details. Should the engineer find any potential problems or issues, they will notify your account manager along with their recommended solutions. This EQ will be sent back to you for your review and approval. After the EQ is approved, a working Gerber file is created by our engineer and sent to you for final approval. Once approved, your production order can begin. Orders submitted before 5:00 pm China time (GMT + 8) will start processing the same day. Orders after 5:00 will not begin until the following business day. Business days are Mon-Sat 8:00 am to 6:00 pm. Sundays and Chinese Holidays are not included as business days. For urgent orders needed more quickly, please contact us. In many cases we are able to offer priority service. HAL(LF), White oil, black silkscreen, thernmal conductivity: 0.8W/C-K.